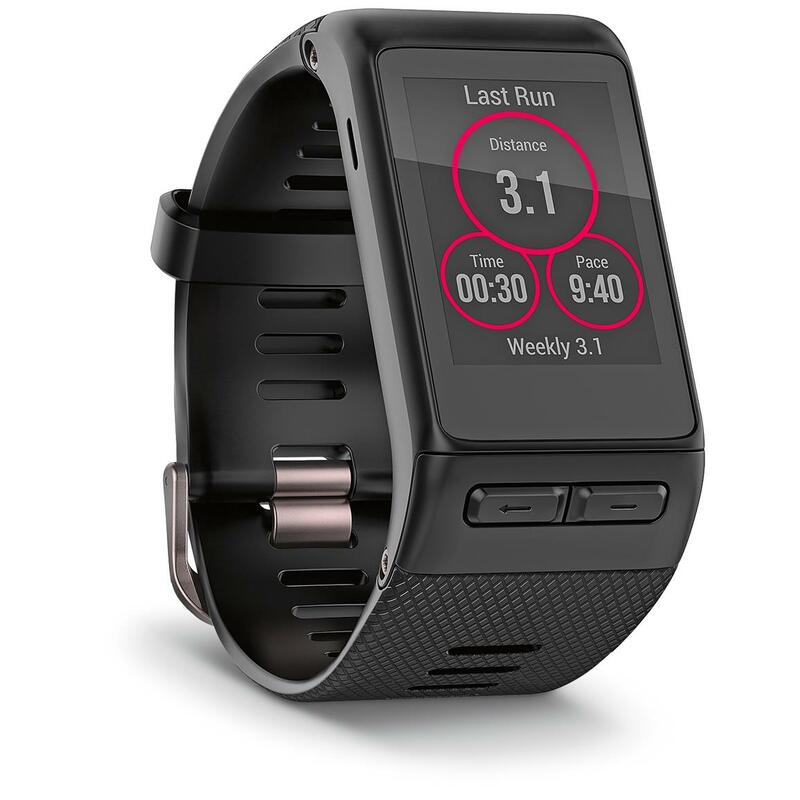 Who runs is accustomed to using GPS, heart rate monitors and more. 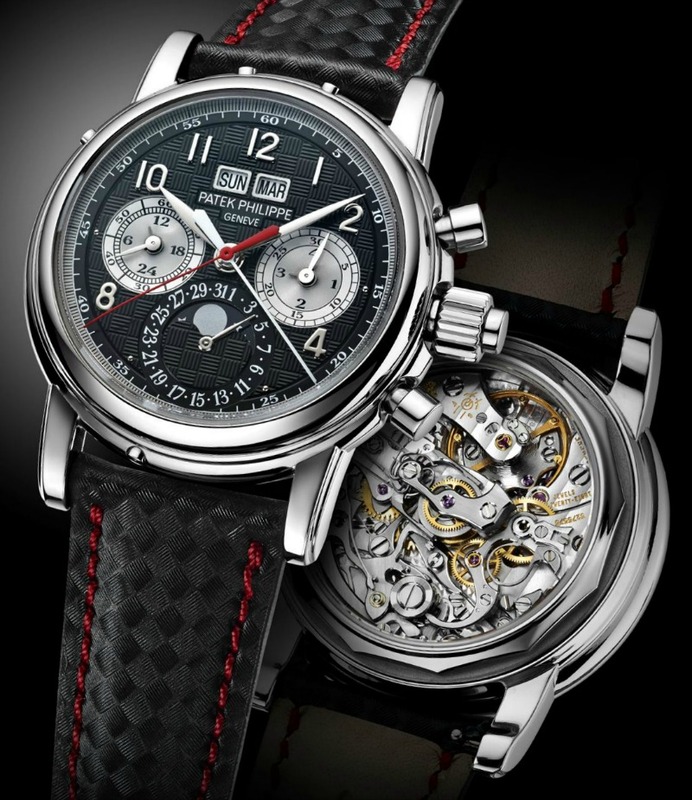 When no running though, it is more practical to wear an ordinary watch. 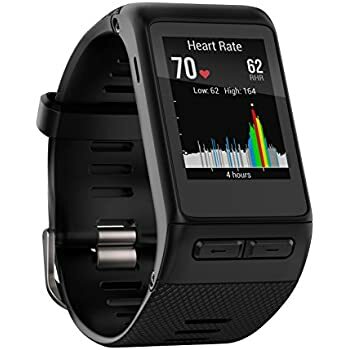 The market has already (or will shortly, when will be marketed the Apple Watch) of the smartwatch that over time they tell you many things: primarily information about your physical condition, sleeping hours, calories burned etc. 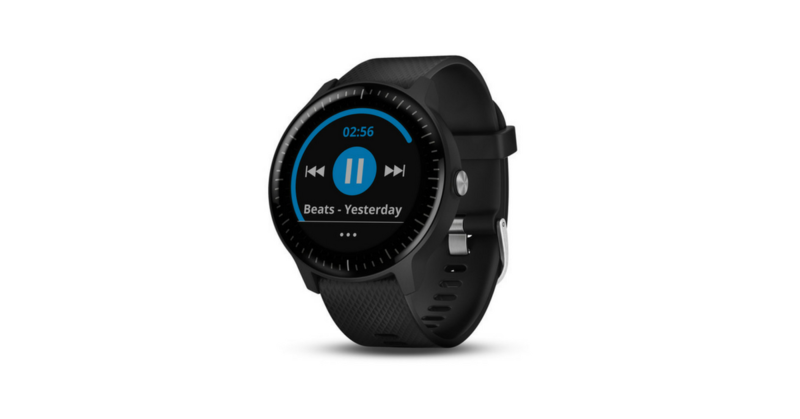 But an object that would combine perfectly the universe of more sophisticated instruments for detecting smartwatch of your workout data didn’t exist. 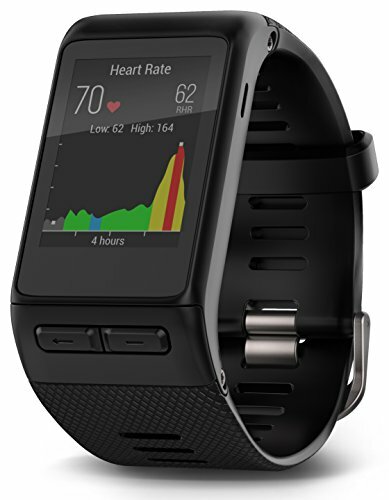 Now we thought Garmin with its vίvoactive, presented these days at CES in Las Vegas. 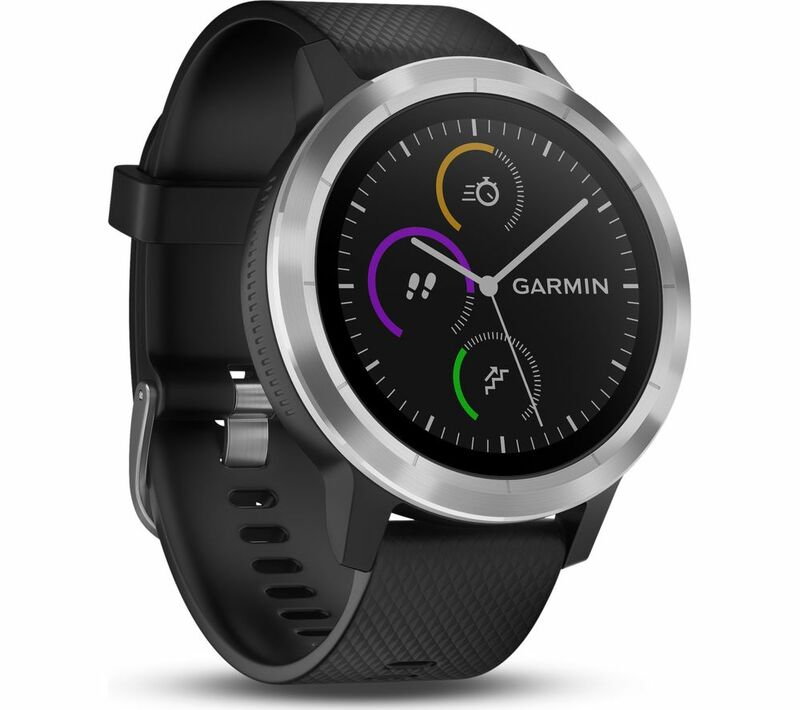 Garmin vίvoactive combines all the features of an ordinary watch with those of activity tracker now more widespread (including, not surprisingly, the same Garmin vívosmart). But not ideal only for running. 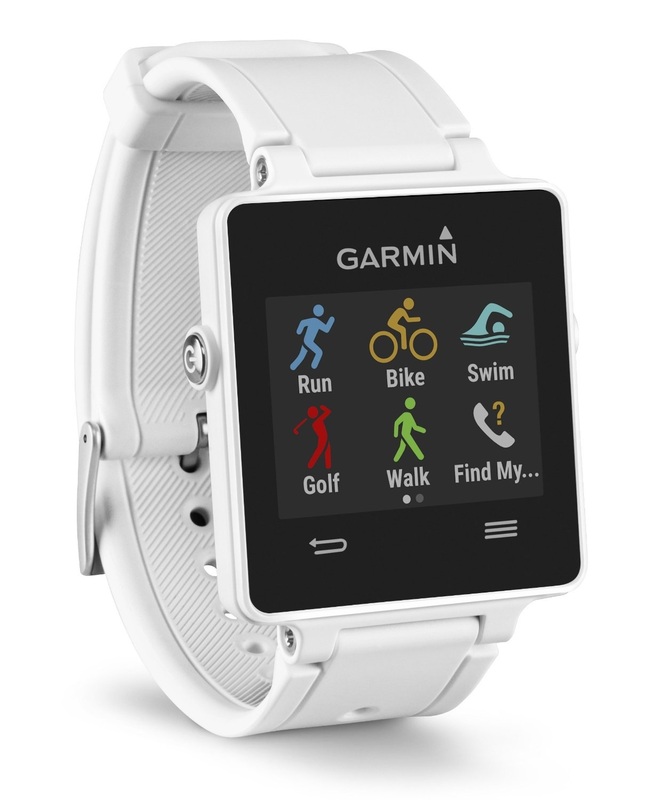 Offers 5 different activity profiles: running, walking, cycling, golf and swimming (Yes, it’s also waterproof). 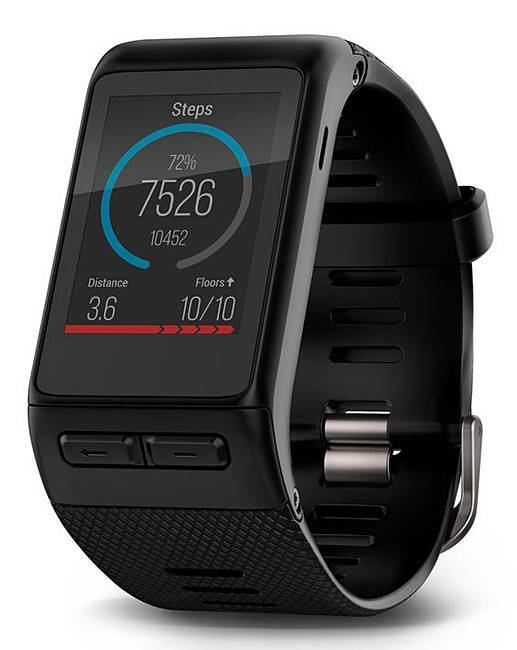 Thanks to the accelerometer allows you to calculate speed and mileage even when GPS is off, such as when you’re running on a treadmill. Are you passionate about golf? The color display displays the map of 38,000 (you read that right) golf courses around the world, updated without subscribing to any subscription. 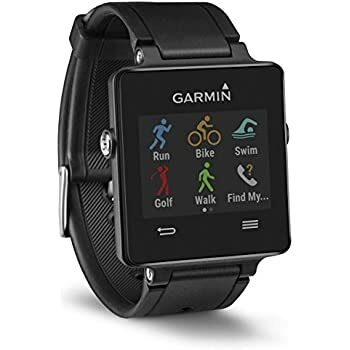 And crossing the GPS data provides the front, middle and back away from the green, in addition to having useful information on layup and dogleg, on the distance of shot and the individual scorecards (Hey, we’re run lovers, if you are passionate about golf, you know what we’re talking about. Then maybe explain it to us). 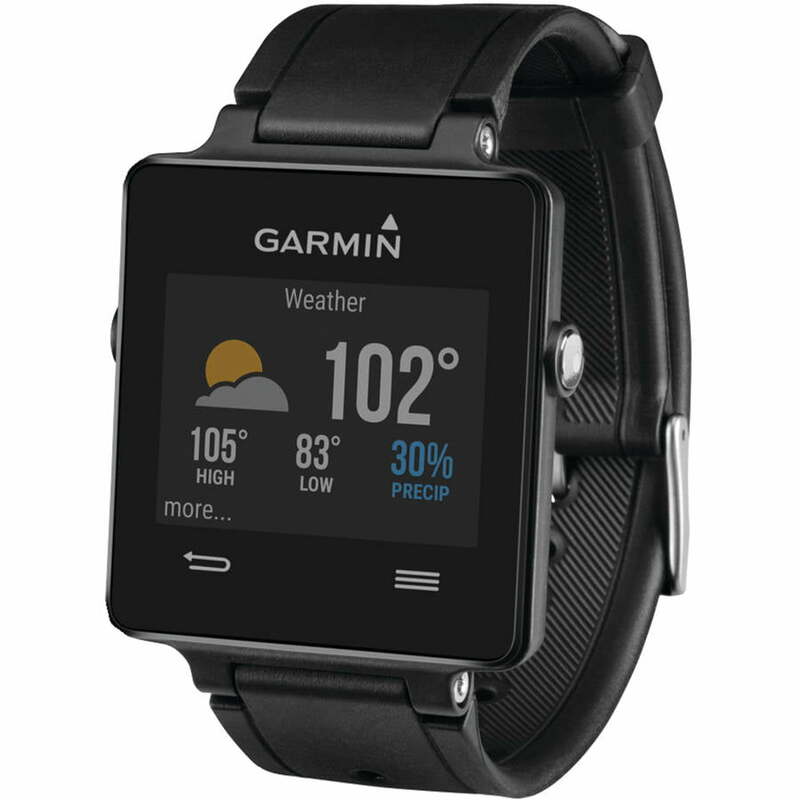 No: Garmin vίvoactive is often just 8mm and weighs just 38 grams. 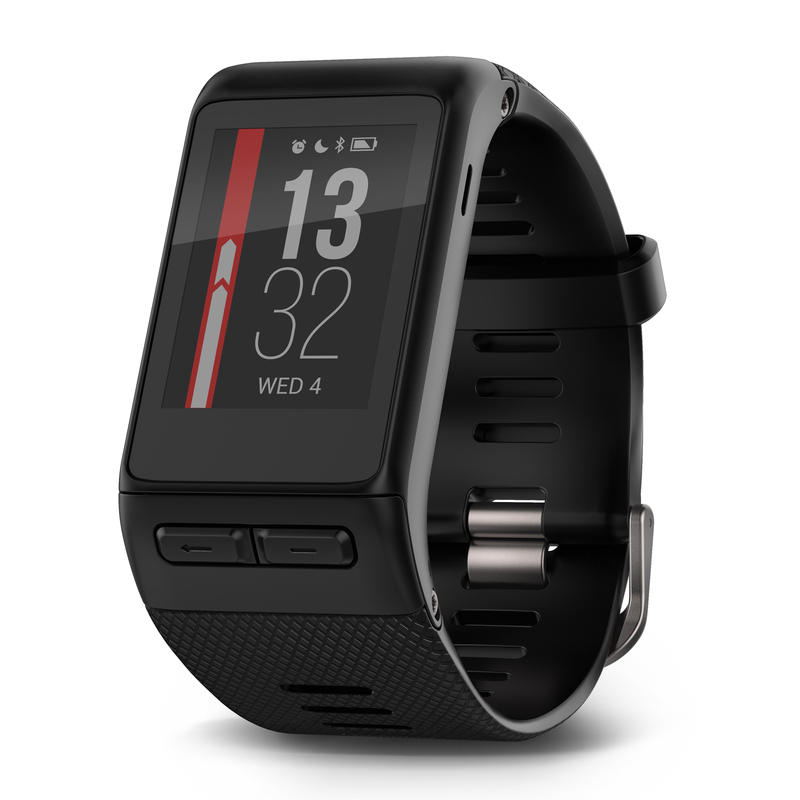 It has a color touchscreen and is available with silicon strap in black and white (but you can buy it separately in gray, red, blue, pink and purple). 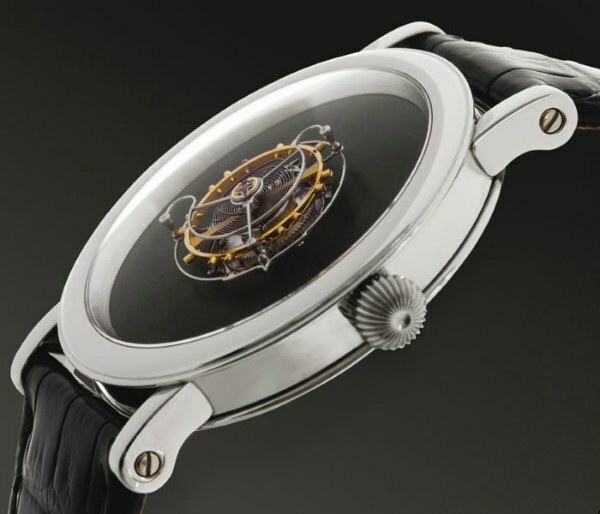 And will consume it and the battery will last very little? 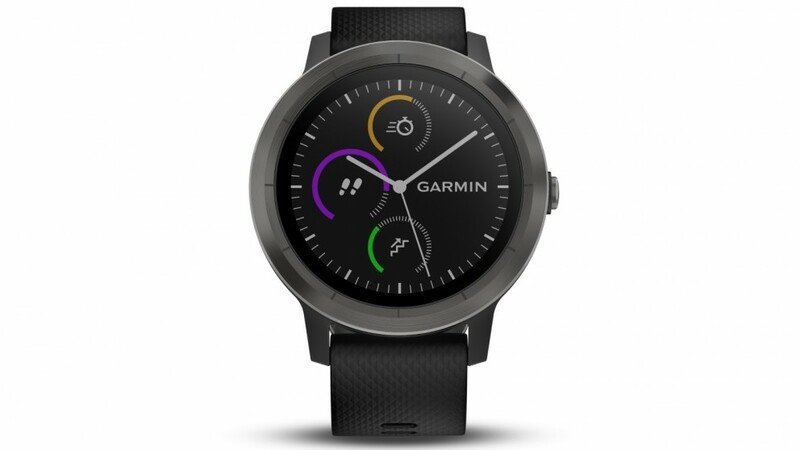 No: according at least to what States Garmin, its battery lasts about three weeks in clock mode and about 10 hours with GPS on. 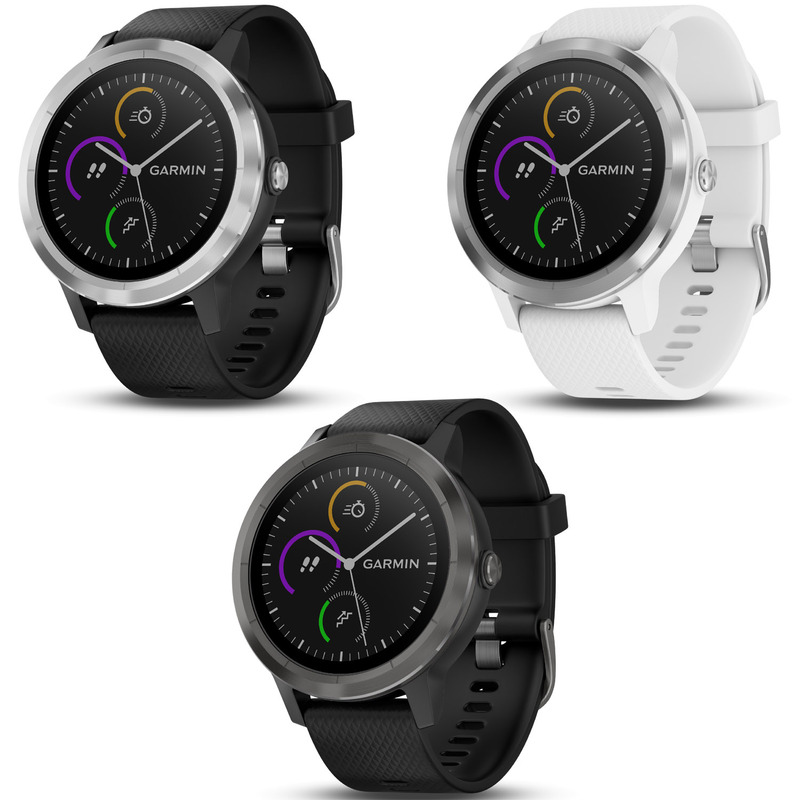 Being able to match to your watch phones, Garmin vίvoactive reports notifications of calls, SMS, emails, appointments. It is of course integrated with popular social networks, to share all your best results. 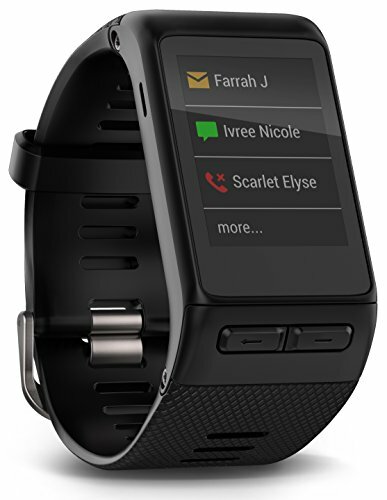 Smart Bluetooth technology, vίvoactive also functions as a remote control for your music player for the shareholder and if you don’t find it anymore (the phone, vίvoactive, that is not always to your wrist) with the function “find my phone”, over 20 meters, it will ring. It just for this feature, IMHO. Thanks to the Connect IQ open platform anyone can buy or even develop customized apps: not only related to the sport, but also for example the weather forecast or the list of matches of your favorite team. Some are already installed, such as the invaluable LifeLine that allows you to communicate your position in the event of danger or in emergency situations. But many others are available or under development: Accuweather is developing a project to report the concentration of pollen and allergens in the air, iSki working on an app to provide information about the status of snow and Moxy aims to monitor oxygenation of muscles during a workout. 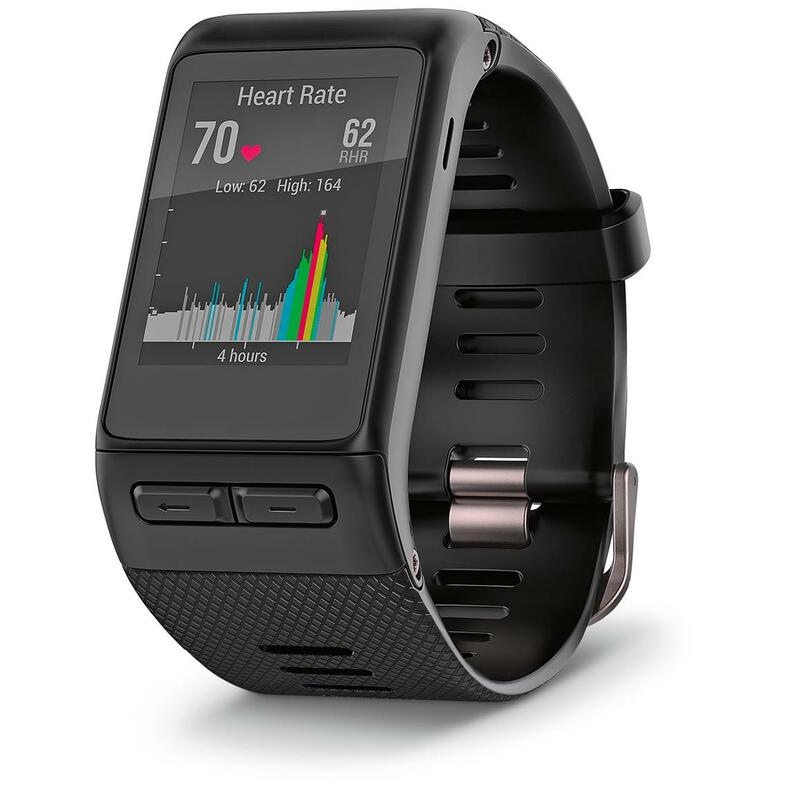 If Garmin vίvoactive do you like but fear that it will cost a few million euro keeps you pleasantly amazed: it costs 299.00 249.00 euro in fact or in bundle version with heart rate monitor. Not bad, not bad at all.